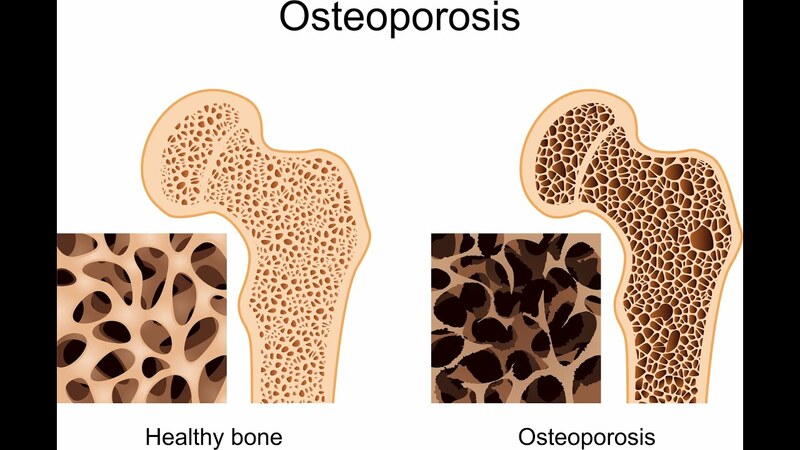 Osteoporosis is a condition in which bones become brittle due to loss of bone tissue that is usually caused by hormonal changes, lack of calcium or vitamin D. Bone tissue is a body tissue that is often damaged and formed. Osteoporosis occurs when formation can not keep up with bone tissue damage. Osteoporosis causes the bones to become weak and brittle, so even mild pressure such as bending and coughing can cause fractures. Bone fractures caused by osteoporosis usually occur in the bones of the hip, wrist and spine. Osteoporosis can occur in males and females in all races. However, Asian women, especially those who have menopause have a higher risk of suffering from osteoporosis. Do not smoke. Smoking causes faster bone loss, thus increasing the risk of fractures. Avoid excess alcohol. Consumption of alcohol more than two glasses a day can reduce bone density. The influence of alcohol can also increase the risk of falling. Prevent dropping. Wear short-heeled shoes, note the location of cables at home, carpets, or litter surfaces that can cause a fall. Keep the room lighting good, put the handrails inside and outside the bathroom, and make sure you get up and down from the bed easily. Protein is one of the compositions that build bones, while some people do not get enough protein intake. Protein is commonly obtained from meat, eggs, milk and nuts. Men and women with an age range of 18 to 50 years require 1000 mg of calcium intake per day. This need increases to 1200 mg in women aged 50 years and over and men aged 70 years and over. Good sources of calcium include low-fat milk, green vegetables, Ika, soy products (tofu, tempeh) and cereals with extra calcium. Calcium supplements can be given if the intake of calcium in the diet is not sufficient. However, excessive calcium can lead to kidney stones and some experts suggest that too much calcium can increase the risk of heart disease. Experts recommend calcium intake of no more than 2000 mg in people aged 50 years and over. Vitamin D serves to increase the absorption of calcium by bone. Usually people get adequate vitamin D intake from the sun. But in people who are not exposed to sunlight, it takes additional vitamin D supplementation from supplements. Weight loss increases the chances of bone loss and fractures. While being overweight is known to cause a risk of fractures in the arms and wrists. Thus, maintaining ideal body weight is important for bone health and overall body health. Exercise can increase bone strength and slow bone loss. Exercise can start at any age, but the most benefit is earned if done at a young age. The recommended exercise is a combination of endurance and weight training aimed at improving muscle and bone strength. 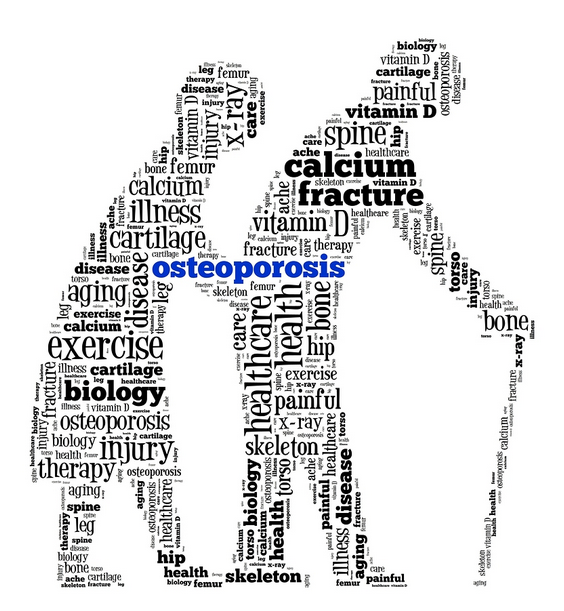 So many of our articles on osteoporosis and prevention, may be useful for readers as well.